The freedom we are looking for is the freedom to be ourselves, to express ourselves. The worst part is that most of us are not even aware that we are not free. 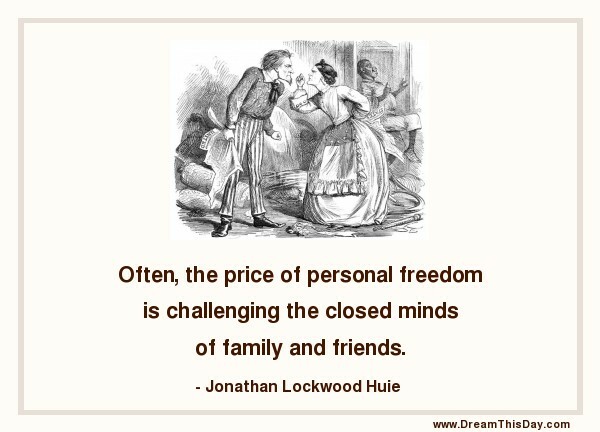 is challenging the closed minds of family and friends.